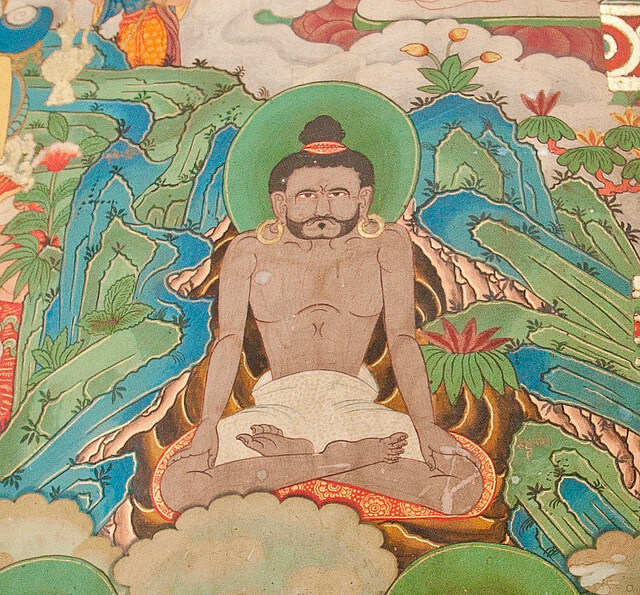 Mural of a Tibetan Yogin doing some Trul Khor style Pranayama. This is a note on the use of Pranayama (or whatever you would like to call it) for shattering the mountains and rivers and the whole earth, disclosing the primordial essence of mind in a single instant as the Dharmadhatu. "Prime the pump" first by breathing in slowly & deeply with fine attention to the flow of the breath into the body & the expansion of all the channels. Yet the out-breathing should be cool, natural & relaxed. It is as if you were accumulating a blazing fire in the Tanden area, compressed at the bottom of your breathing. Every breath adds to it and with each breath your awareness should become keener. The in-breaths should be done in a series. How many repetitions? It depends on how much energy you need to accumulate in the lower Tanden. Only you can know this. At a certain point, after you've done a series of these deep, slow, profoundly aware in-breaths, maybe ten or maybe twenty-five, suddenly make the out-breath an explosive "Ha!" At this point your usual dualistic mind will shatter & you will instantaneously taste the realm of "suchness." To put it another way, you will experience Great Awareness, Great Energy & Great Space all as one sphere of absolute reality. At the Gateless Barrier, I play the old tunes on my bamboo flute./It's cold at night and everybody weeps to hear the ancient songs./Yet Zen is without sentiment. I write. I do Zen. I play the bamboo flute. 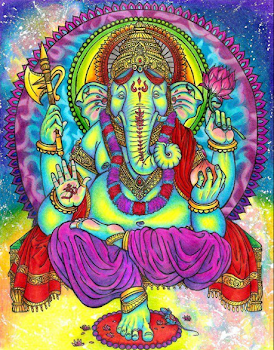 "Great Nature, Great Manifestation, Great Realization." What does this mean? Every aspect of this life, which is Zen Enlightenment itself, is "great." Whether wonderful or terrifying or both it always "is" in a way that cannot be explained. Just try to explain it. Can you, or can't you? It's just like when Master Ko Bong shouted "That's it! Ha, ha, ha, ha!" and broke his fan. Do you get it, or not? If you can tell me what you get, I'll bow to you. If you can't, I'll call you my Master. Either way, you win. For more notes, poems and aphorisms: go here. 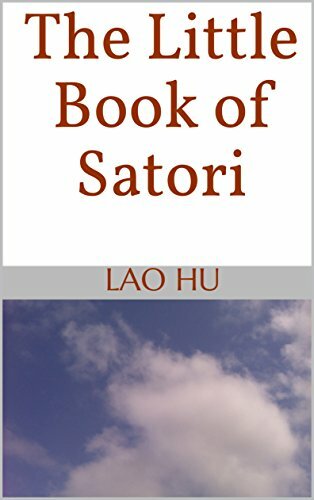 See also 老虎: Lao Hu. Contact me at jyakunen(at)gmail.com. I've begun building a small tea room in the old style. 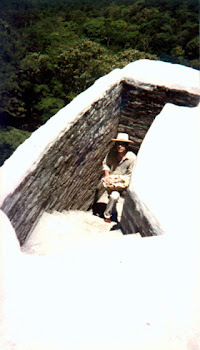 Here, I plan to conduct the simplest and most ancient form of the Zen tea ceremony. "Cool in summer, warm in winter; flowers from the field; prepare for rain; enjoy a sip of tea together." Here is the link to donate for construction of this tea room. Stick your head into the Tiger's mouth to ask the question: What is my real self (honshin)? Shamanic Tiger Zen Temple, in the majestic Pacific Northwest rainforest, revives the direct realization and training methods of ancient Zen. not depending on words or letters. seeing the Self-nature & waking up instantly. Join the lucky few at /r/Zendo. To call Buddha "Awareness" or anything else is to make Buddha an object of thought. Show me the location of this Buddha! What kind of shoes does he wear? If he goes barefoot, do his feet get dirty? Does he shiver in the winter? Who is it that's actually reading this right now? Is it your mind? Amazing! Where exactly is this Mind located in physical space? Also, is this by any chance the same mind that was here before your parents got born? Ah! In Zen there is always an instant when the "mind" stops and you break out in a cold, shivering sweat at the sheer vividness of This! 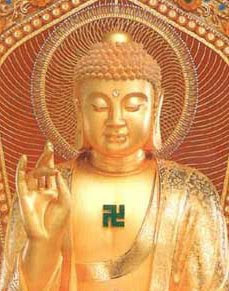 Joshu's "Mu" is really just the "natural freedom of the myriad Buddhas" and is in itself clear about everything. There is no point in trying to make anything special out of it. 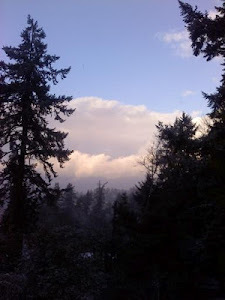 This afternoon clumps of snow are falling from the tops of the tall Douglas firs. Crows are taunting each other wickedly. A big cloud just covered the sun. Ah! 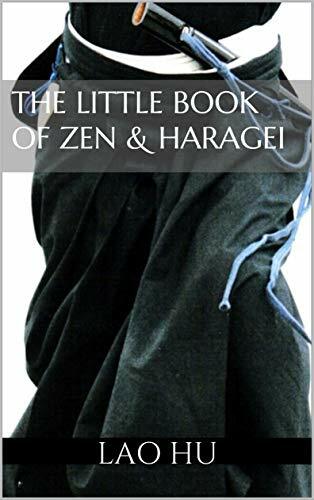 Look for my upcoming Zen and Ki-training "self-help" manual The Book of Zen & Haragei.